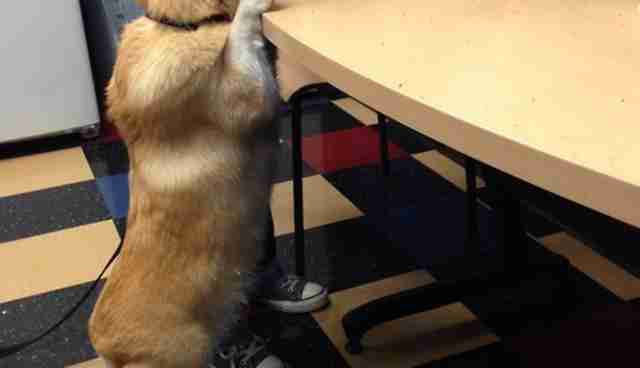 Everyone knows that corgis are adorable, but who knew they could be so persuasive? 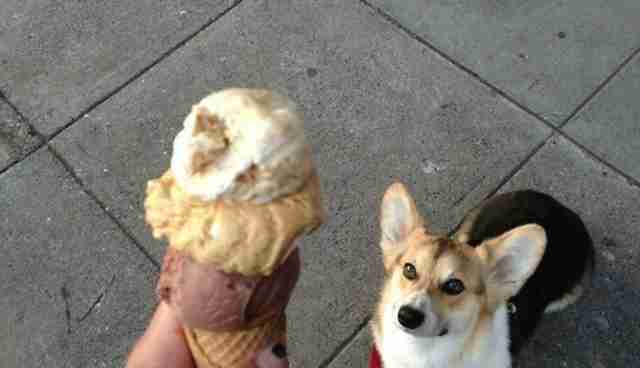 Thanks to an EXTREMELY (un)scientific study done by the tumblr Corgis Begging For Stuff, it's pretty clear that corgis are pros at getting what they want – or at least knowing how to ask for it. These diligent pups are pretty confident that you need to take a break from whatever you're doing and give them some extra attention. 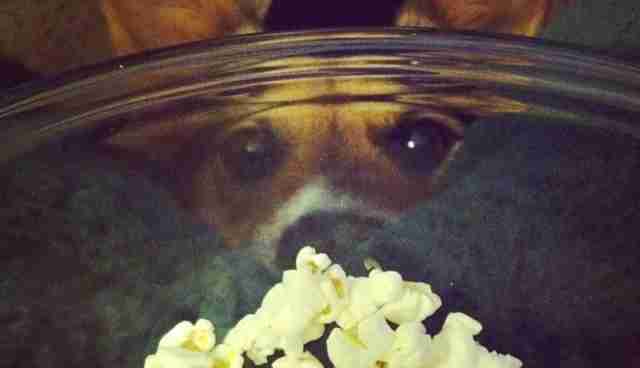 "Perhaps if I stare long enough, it will magically get inside to my mouth..."
"Oh, don't mind me, just trying to estimate how many pieces of delicious, buttery popcorn you've got there." 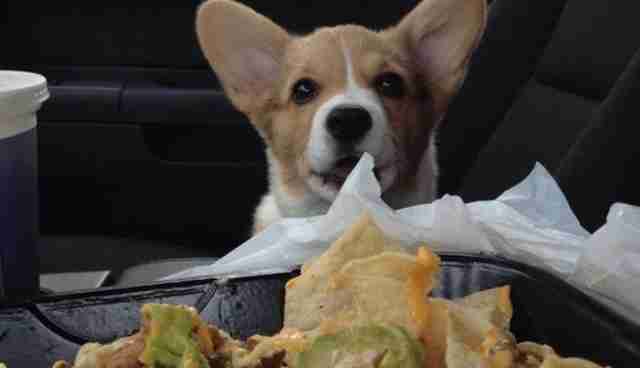 "Um, don't you know it's RUDE to eat in front of me if you don't share?" 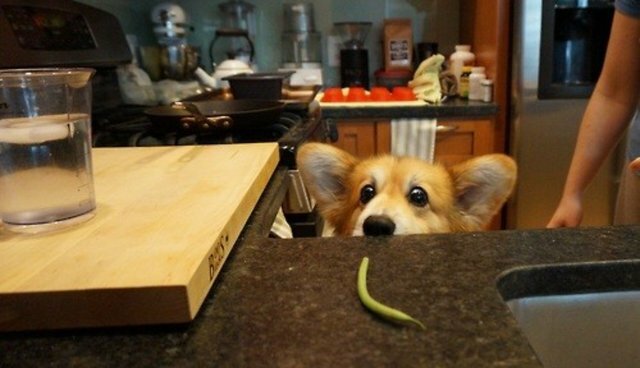 "THIS GREEN BEAN IS THE MOST PERFECT SNACK I HAVE EVER LAID EYES ON." "Hey, so uh... whatcha got there?" "Thank goodness all that yoga I've been doing is finally paying off!" 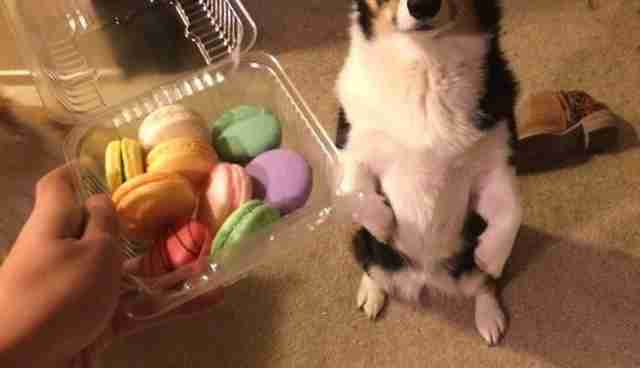 "I am a perfect gentleman for macarons, please!" 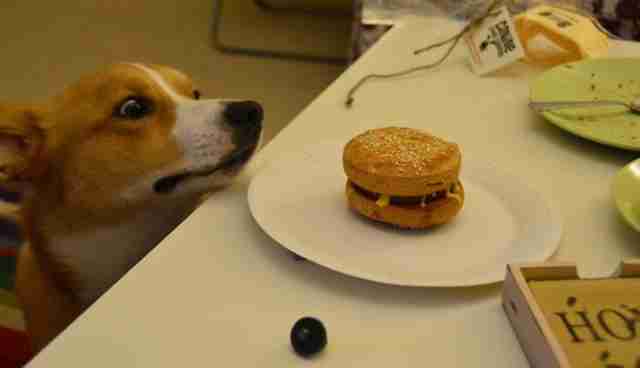 "THIS CHEESEBURGER NEEDS TO BE IN MY MOUTH THIS INSTANT." 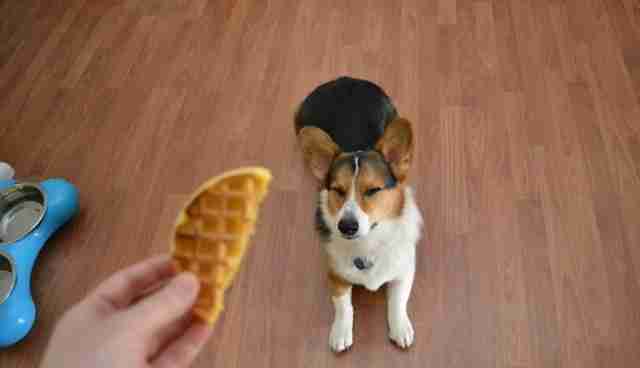 "I'm pretty sure that if I pretend I don't want that waffle, you'll give me that waffle." "So close to my cheese goal..."
"It's not all about food, okay?? 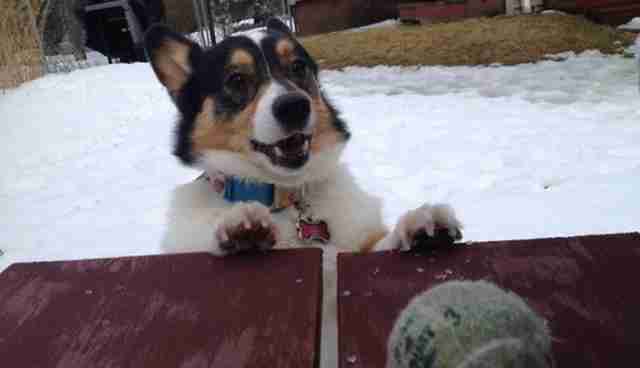 Now gimme my ball!" 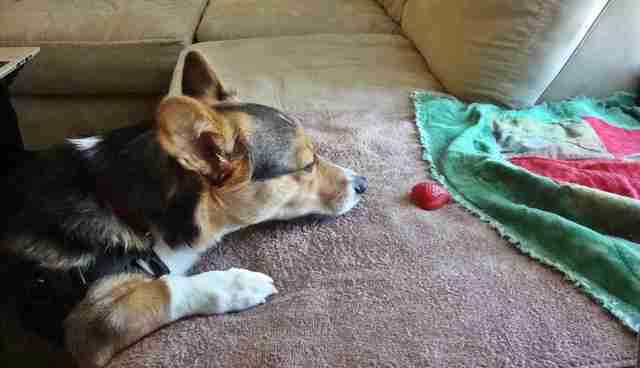 Thanks for that daily dose of cuteness, corgis! And remember, as persuasive as they are, please remember to only feed your pup treats intended for dogs, so that their tummies don't get upset! 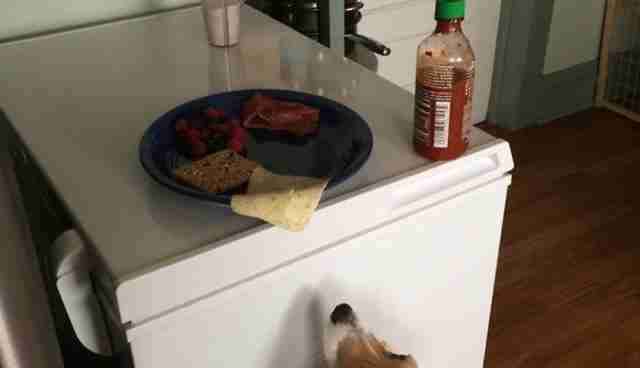 Here are some ideas to keep your pooch happy. Have a great photo or video of your pet? Post it on Twitter or Instagram with the hashtag #DodoDogs or #DodoCats to be featured below.